As a Type A individual, I am usually not one to procrastinate but I am writing this post as a promise I made to myself. As a freshman in college, I made a college bucket list of all of the things I wanted to accomplish by the time I graduated with my Bachelors degree. One of those things was to write a personal blog. As a public relations major, I have written countless blog posts for my classes and internships. However, I never made time for my own. So here I am half way through my last semester of college with my first blog post. I came close to launching a blog several times but something always stopped me. Whether it was coming up with a catchy name, cool domain, or fear of hopping on the blog bandwagon and churning out low quality content I always paused. However, if I’m learning anything during my last semester it’s that time flies fast. I am not striving for perfection with this blog. Instead, I’m trying something new knowing that I’m going to make mistakes along the way. So whether it’s to check-in with me, live vicariously through my college life or just for fun I hope you enjoy my little corner of the Internet. Hi there! I’m Lauren, For those of you who don’t know me or want to know me better. 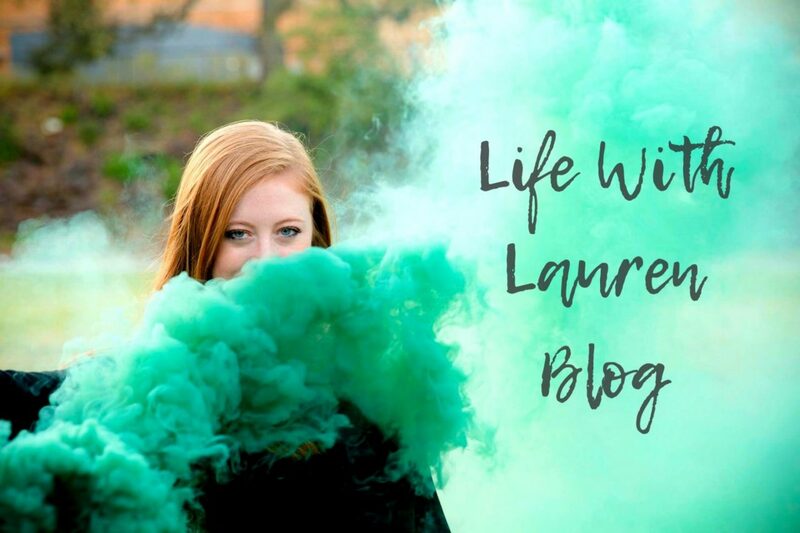 I am a Public Relations major at University of North Texas with a passion for blogging, DIY, food and learning about the world. I am a self-proclaimed Pinterest addict, coffee lover and constant smiler who can (almost always) be caught eating. I have a serious case of wanderlust and hope to one day work for a lifestyle and PR firm, as well as publish work focusing on travel. I am blessed to have traveled to 7 countries, 13 states, and counting! My life travel partner is my aunt Diane. She has taught me to always keep an open mind and to be open to world cultures. I am currently engaged to my high school sweetheart, Chase Sepulvador. I’m not going to go into deep detail about that here because I’m sure there are going to be a lot of blog posts about that part of my life. To keep it simple: everyone deserves a Chase in their life. I am obsessed with my family dog who is a strange (but adorable) mix of German Shepherd and Corgi. Even though we rescued her from the local pound we joke that she saved us. I am proud to say I was born and raised in Fort Worth, Texas with my family. I felt led to finally start my blog to keep these memories. Everyone is telling me “you’re going to miss this” and I want to remember it all. Hopefully I can offer advice to help some, provide some giggles and be an inspiration. If there are any specific topics you want me to write about please let me know! I am so excited about this new journey and glad you’re along for the ride.